Riding is a fun activity as well as a good exercise. Whether you are doing it as a hobby or you want to burn some calories to lose weight, you will always find horse riding a fun activity. Whether you are a beginner or an experienced horse rider, there is always something new to learn about your horse, riders gear and apparel, equipment, and healthcare through our blog. Horse riding can be enjoyed by everyone no matter what the age of the rider is. If your kid loves horse riding, you should encourage and support them. 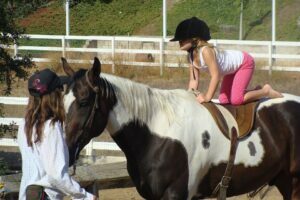 Kids horseback riding apparel is the first thing that your kid needs before going for horse riding. 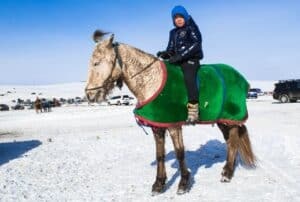 If you are confused whether you should buy your kid a horse, read this. Here are a few things you should keep in mind for your little horse rider’s riding apparel. The most important thing that you should keep in mind while deciding the apparel of your kid is the comfort. The apparel should be comfortable and versatile to cater the needs of your kid. When we buy something for ourselves such as cowgirl boots, chances are that we are going to use that stuff for a long time. However, it is not the case with kids. Kids grow up quickly. Make sure that you’re buying new clothes as your child grows because if you give them the same old clothes to wear, chances are that they will not feel comfortable while riding. Boots that are too tight or pants that don’t allow mounting are uncomfortable and dangerous. This type of attire can put your child on the risk. Safety of your child should be your first priority. Kids are careless and sometimes they don’t even notice that their boots are too tight and they should not wear those boots anymore. However, as a parent, it is your responsibility to keep an eye on these things. While choosing kids horseback riding apparel, it is important that you buy stuff that is affordable. There is no need to empty your pockets on expensive stuff because kids do not wear the same thing for a long time. Purchasing apparel that is light on the wallet is the wise thing to do. For this reason, Don’t shy away from Amazon or Ebay. You should order new things over time your child grows to fulfill their needs. You should avoid purchasing branded apparel that your child will not wear in a couple of months. Local stores provide similar apparel and are as useful as compared to the expensive branded ones. Safety of your child matters the most, not the brand that they are carrying. Feel free to try different brands at your local tack shop. Most parents are always concerned that if horse riding is safe for their children or not. Though the safety is a major concern, but if you do not allow your kid to go out and learn, he will never be able to learn how to stay safe. Children should be equipped with the right gear. Buy approved helmet, vest and proper boots for your kid. These essentials will help them to stay safe while enjoying horse riding. Let your kids be free, let them enjoy by experiences and let them go wild if they feel. Childhood memories will shape their future and help them grow as intellectual individuals. Click here to read about some essential horse riding gear. Shop or their safety and their safety will let them be free. Spend freely on safety essentials. Children enjoy the most when they are free so let them be. Have some fun online shopping with your kid by clicking here.